Kate is often compared to the late, great, Princess Diana (William's mom). The comparisons go beyond her work and service, but also to their style. Princess Diana is known for her cutting edge style and the effortless look she carried. Her wedding gown is still and main topic, especially with her son's wedding approaching. . . 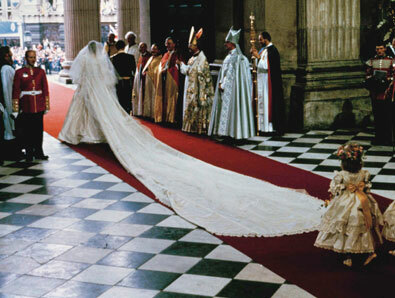 Her dress designed by amateur designers at the time, Elizabeth and David Emmanuel, accentuated her very small waist and featured a 25ft long traing, the longest yet. 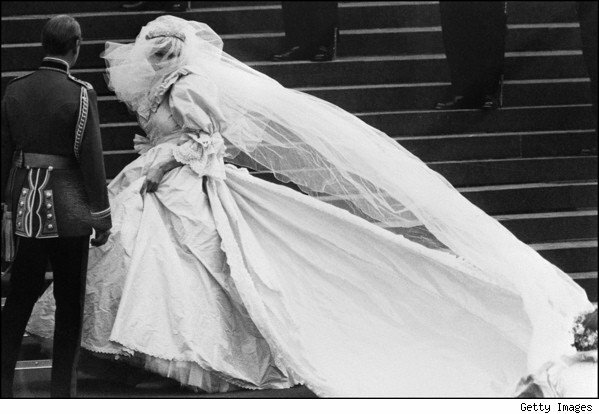 This wedding dress has yet to be topped in relation to style, chicness, and appropriateness considering all of the stipulations a bride has to consider when marrying into the royal family. After the royal wedding of 1981, bridal boutiques everywhere were flocked with designs inspired by Princess Diana's gown. Today designers are pressed to have designs out by as near as the next day after the wedding because they know that style will be a hit. I am anxious to see what Kate Middleton will wear.